China's State Food and Drug Administration has found out during a recent review that some websites in the country are pretending to be other organizations by releasing false medicine information and selling fake medicines that endanger the public's health. 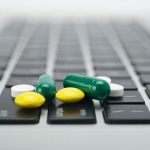 To eliminate the illegal behavior of these websites, SFDA has issued its "Warning Announcement Regarding Buying Medicines Online", reminding consumers of increasing the awareness of self-protection and not buying medicines from websites that have not been approved by the drug supervision department. Consumers can log onto the website of SFDA to have a look at the report called "Cautions on Safe Online Drug Purchase" where they can find a list of websites that reportedly are involving in unlawful drug sales. In March 2008, the SFDA also exposed 25 websites that were involved in illegal selling of medicines. These websites included the fake websites of the Diabetes Treatment Center of China TCM Higher Medical Institute, the Diabetes Treatment Center of Chinese Herbal Medicine Research Institute, China Diabetes Recovery Website, International Beijing Chinese Herbal Medicine Diabetes Research Center, Beijing Chinese Herbal Medicine Research Institute Liver Disease Recovery Center, the fake Chinese PLA 301 Hospital, China Chinese Medicine Research Institute, China Chinese Medicine Research Institute High Blood Pressure Research Center, State Dermatosis Clinic Study Institute and China Chinese Medicine Difficulty and Complicated Disease Research Center. By the end of 2007, China had approved a total of 1257 websites to provide online medicine services and 14 websites to deal with online drug sales. Of those, only seven websites were allowed to sell non-prescription medicines to consumers.